Home→The Inspired Mic Recap→An Evening to Remember! ← Inspired Mic Fun Thursday Evening! The Inspired Mic Plays to a Full House! Thursday April 19, 2018. The Inspired Mic officially sold out all seating. Unfortunately, we had to turn people away but what a night! 15 presenters put their work out into the world for public consumption. I cannot describe with complete accuracy how much of a challenge placing your creative work into strangers’ ears affects the artist. Intimidation. Fear. Anxiety. Yes, that surreal space in time where you hear your work tripping off your tongue and into reality. So many emotions flow through a person behind a microphone they become too numerous to mention. For each person the experience plays a bit different, yet all share a part of themselves on the stage. Last night, we kicked off with Mystic Mel performing some mentalist shenanigans. Angelica Timothy followed with her poem, “Warrior.” This poem may be seen performed live at Salvo Art in this blogsite’s archives. Carol Fisher, whose restaurant The Beachhouse Beanery gave birth to The Inspired Mic five years ago, graced the stage with a poem written for her soon-to-be-three-years-old twin granddaughters. This poem not only celebrates their birthday but also touches on their (the granddaughters) hand in helping Carol and her husband heal over the loss of their daughter. A very touching piece of writing and bravery on Carol’s part to take the stage and present her heart. Jim Harter delivered some of his poetry. Jim has over 1500 poems to his credit and he continues to write more.. Kim Sunshine brought a standup comedy routine which delighted the audience. Standup is such a difficult endeavor. To perform a routine well, the comedian must develop material which is funny, learn and execute timing with the delivery of each joke, and be able to move past any which don’t work like nothing happened. Kim did an excellent job! Alexandra King read a section of dark fiction from a book she’s currently writing. The imagery of a chaotic, rhythmic, tribal dance with danger and sensual aspects woven into the fabric of the story held the audience’s attention well. Kristin Brinker presented two strong pieces of work, “Skinny” and “My Bubble.” Kristin is just 16 but she delivers her work with a strong presence and rouses the audience each time she takes the stage. This young lady is someone to watch. Sean Moylan always delights with is incredible ability to recite lengthy pieces of work from memory, with passion and voice inflections which keep you mesmerized. Last night he recited the quite lengthy T.S. Elliot poem “The Love Song of J. Alfred Prufrock.” As always, Sean did not disappoint. Michael Jones took the stage after intermission and delivered a powerful view of what its like to have a mental illness. Michael also demonstrated the challenges and the rewards of having bipolar disorder. His presentation was not only inspiring, the information may well help others view people who struggle with similar health issues in a different light. Becky Pourchot settled in behind the microphone for two hot, steamy poems about lust and desire and passion told with such an eloquent flair that the energy of her work flowed smooth despite the raw passions her words described. Becky always delivers imagery that capture the listeners’ ears, hearts and imaginations. This evening was no exception. Abby Truelsen, a member of the Volusia County Poet Laureate mentoring program, delivered two outstanding pieces of work. This was Abby’s first time on The Inspired Mic stage. At first she appeared nervous but she soon settled into her amazing work and delivered the poems in outstanding fashion. Bianca Simone brought her “A” game last night with two powerful pieces of writing which moved the audience. Bianca brought power, passion, and a strong performance of he work which roused the crowd. Shari Falter, an ordained minister, brought us an amazing work of fiction from a larger work which will one day become a full fledged novel. In this particular reading, God is in hell and Lucifer is pissed. You had to be there – this writing is amazing! Scott Olsen delighted us all with two poems, the second one having quite a humorous bent to it. His delivery was excellent and had each one of us laughing and nodding in agreement with “Things You Don’t Ever Want to Hear.” David Kozba wrapped the evening up with energy and humor and sadness and emotion. David’s poem about an abscessed tooth was hilarious, his poignant story about his grandmother’s slide into dementia was heart-wrenching and David delivered those and more with his energetic panache. What a night! A sold-out venue, new presenters, great food, incredible atmosphere, eclectic entertainment you won’t find anywhere else in this area all add up to another amazing evening with The Inspired Mic. For future events, we strongly recommend you purchase tickets early. The Europa has a seating capacity of 50. Once all the seats are sold, that’s it! 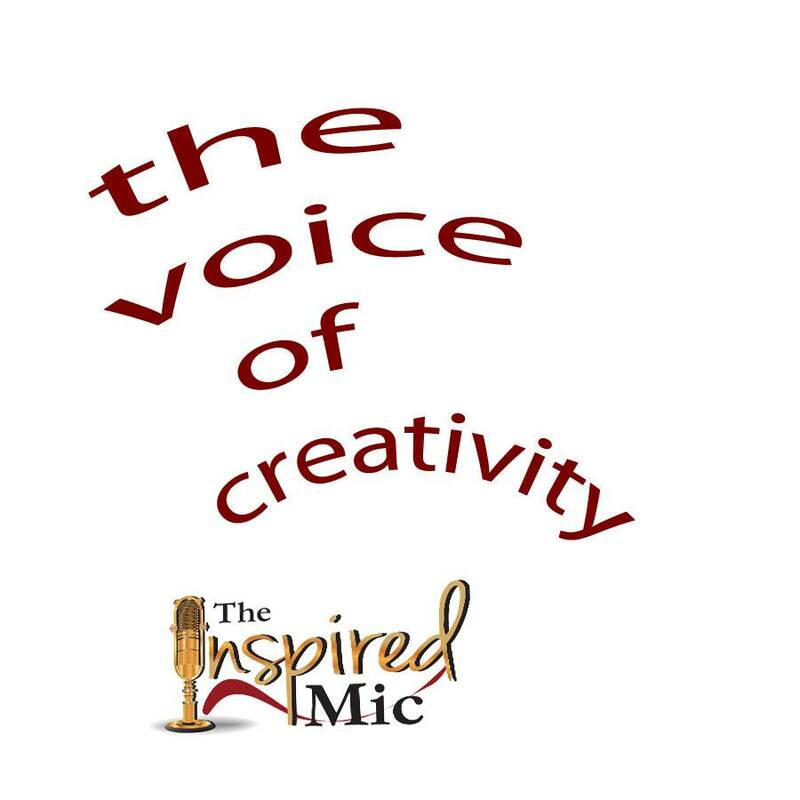 The Inspired Mic returns next month on Thursday May 17th at 6:00 pm. Tickets are on sale now on this website. We look forward to seeing you there!